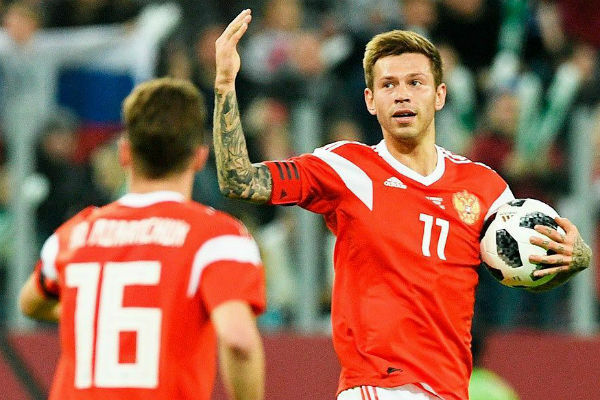 Fedor Smolov was considered one of the main hopes of the last World Cup, but the forward not only did not bring the victory to the national team, but could not score a goal during the decisive penalty. After the match many colleagues of the sportsman preferred to holiday in Russia, and Fedor decided to fly to Saint-Tropez. The World Cup ended a few days ago, but fans of football still remember the blunder of Fedor Smolov, which in many ways became decisive in the defeat of the Russian team against Croatia. And although the 28-year-old sportsman himself often apologized to the fans, many did not believe in the sincerity of his words. Almost immediately after the match, the forward went to Saint-Tropez. In order not to attract attention to holiday in one of the most expensive resorts in the world, Smolov preferred not to publish photos on his Instagram. The fact that Fedor recovers forces in the south of France was reported by the leading Anna Lvova, who met a football player on the Cote d'Azur. It is noteworthy that almost all the sportsmen of the team chose to stay in Russia, but Smolov - to spend time at the famous night club. Fedor is a frequent guest at the elite club "Les Caves du Roy", which means "royal cellars". 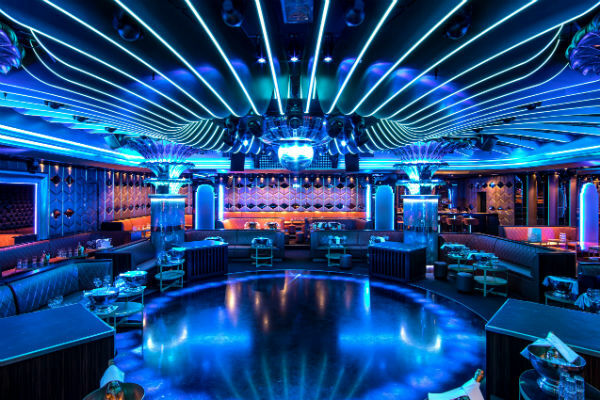 Located in a prestigious hotel, it is is among the top ten clubs in the world and has been considered the most posh on the Riviera for thirty years. The trendy place has long been chosen by Hollywood celebrities, Arab sheikhs, and all those who are ready to pay a round sum: a minimum of 30,000 euros for a bottle of champagne and 26 euros for a bottle of water. "I met him a week ago. Entertained and drank champagne at the VIP table in Les Caves du Roy, what else can you do there. He was with the company and, it seems, with his guards, "Anna Lvova told StarHit. It was not without an unpleasant incident - during the rest, according to Anna, the compatriot approached the player, who tried to shame him for an unscored penalty. The Russian fan was so upset by the defeat of the team that the meeting with the striker almost ended in a struggle. Anna also noted that Fedor often spends time in hookah, which is not very approved in the sports world. However, Smolov's career is still in question. It is rumored that the striker can sign a contract with "Locomotive". In addition, the leadership of the Krasnodar club has already approved the transition forward to another team.